It has been a long long journey for Hayao Miyazaki, the father and the pioneer of Japanese animation films, shortly called as Anime. With his studio, Ghibli, coming into being in the year 1985, Miyazaki films have conquered the Japanese film industry since then. Interestingly, Miyazaki retired long ago but has come back to delight his audience. As he retires, yet once again, he has made another classic, How do you live? for the one last time. Those of you who are already a fan of his films and even those of you who plan on it would definitely know that Miyazaki’s films are not just any cartoon movie but a tender humanizing emotional picture highlighting the visions of humanity and loving the nature in anime. His films are characterized by big-eyed characters, centering the theme on the human-nature relationship and spotlighting the Japanese culture of Shinto religion. The woman is normally placed as the leads of the films, the protagonists. The beauty of these films lies in the children friendly themes in a backdrop of world issues with a conclusion of resolving every dispute in a peaceful manner. The pacifism and optimism centered concepts are purely outstanding. Another stunner of the Miyazaki classics is the use of aviation, which keeps recurring in his films. The obsession of airplanes of Hayao Miyazaki is quite visible in each of the movies. And of course, the eccentric characters, who are adventurous and fun loving, attract the children and teenagers in every possible way. For the nonwatchers of Miyazaki works, check out some masterly creations of the legend in a list below, for getting inspired. It won the Animage anime Grand prix in 1986. The first exemplary work of Miyazaki under Ghibli studio. Story of a young boy and girl who are on a quest to save a Magical Crystal from a military group and adventuring to find a floating castle. Highlights the importance of courage and teamwork with a little violent spree but nothing so demeaning. Great work, great animation! The highest grossing film in Japanese cinema of the time and winning best animation film in the 75th Academy Awards. Spirited away is a highly acclaimed animation work till date. Pure fantasy with spirits, magic, witches and the cuteness of a 10-year-old girl, out on a quest to return back to the human world from the spirit world where she gets trapped. You need to watch it to love it. Another commercial success of Japanese box-office. A beautiful fantasy with a fine show-off of human-nature dependence. The story outlines the pursuit of a prince to pacify the gods, who went angry from humans who destroyed the forests for their selfish needs. The amazing work opened its market doors outside Japan. Mesmerizing work of focus on the social issue of disability and confuting the political stereotypes is the mainstay of the picture. A no-miss for animation lovers. A pretty tale of a young witch who engages herself to earn a living for herself, delivering goods swooshing around the city, wait…on a broom! Work is full of excitement, adventure, and friendship. It won the Aminage Anime Grand Prix prize and was under a 15-year distribution by Walt Disney. Also, this film is receiving a makeover in a Hollywood version. Cat lovers will adore it as Kiki’s pet cat, jiji, is just too cute. Centering around two young daughters of a professor and their friendly interaction with spirits of the rural woods. Conferred with a number of awards and prizes, this is another blue ribbon of Miyazaki films. Endowed with beautiful landscapes, this picture is an enchanting treat. The storyline of Miyazaki’s every film is an out-of-box concept, deviating from the usual. Watch it to believe it. An environment centric masterpiece created by Miyazaki before his studio came into being. His first actual animation film in a way. It tells the tale of a princess who wants to resolve an ongoing war between an ancient kingdom and mutant insects captured jungle, in a peaceful manner. Said to have been inspired by many literary works, including Lord of the Rings and Odyssey, this film is a beautiful portrayal of the human-nature relationship. Hayao Miyazaki returns from his retirement to create another magical tale, Boro the caterpillar. Short story of a recently hatched caterpillar who makes his way in the world with other older caterpillars. Released in March 2018, I won’t be the spoiler here, check out this adorable film by yourself. I just love this storyline of fantasy. Tells the tale of some tiny people who live a secret life of their own, away from the humans, borrowing stuff from humans for surviving. This pretty little story has won the Japanese animation award and is admired across the world. Mr. Miyazaki does have an ultimate sense of imagination that is what his films deliver every time. A smooth tale of an egg princess who befriends a globby dough, who comes to life, in order to rescue her from an evil witch mistress. Adventurous and friendly story. This movie was created when the world cinema was going crazy for Pandas. Story of a yet another little girl who befriends a baby panda and how the papa panda, baby panda, and the girl becomes a family. A children favorite, this movie shows the excitement and adventures of the little girl and pandas. The last film that Miyazaki directed after calling for his retirement. Although he did not retire and renounced his next venture. A dream-driven and career oriented, The wind rises, has been nominated for Academy Awards, Golden Globe and Japanese Animation awards. How a boy dreams to fly an airplane but is restricted because of his near-sightedness, and the quest to study aviation is the motivational backdrop of this movie. A magical tale of dragons, of kingdoms, of slaves and villains. This film is inspired by many literary reads. A very different Miyazaki creation and a marvel to watch. Miyazaki’s debut feature film. More of a grown-up tale, the movie tells the tale of a robber, who robs a casino only to find the money being counterfeited and heads to the town of Cagliostro, the source of the robbed bills. The adventures and miracles in the castle and the man’s journey is overwhelming. The movie was highly praised and influenced movie-makers from all over the world. Another castle adventure movie by Miyazaki. The story outlines the war between two kingdoms, with an old woman as the protagonist. 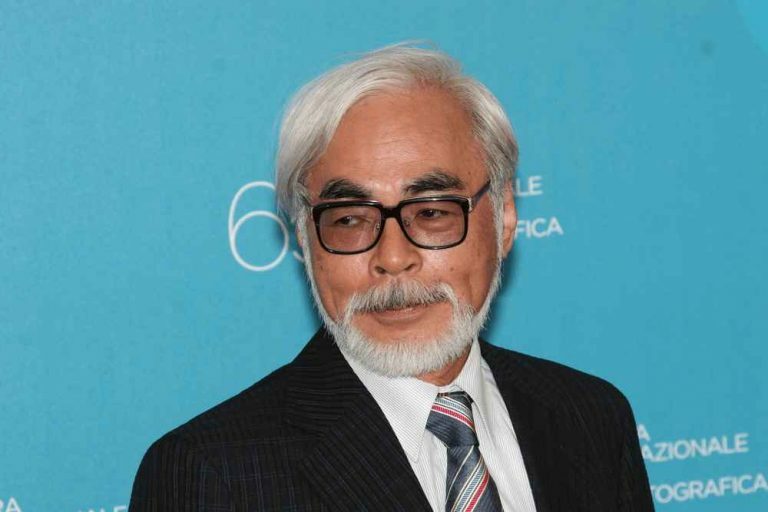 The influence of the film was drawn from the then ongoing Iraq war with the US, which was greatly unsupported by Miyazaki. The film was a clear message to the US for unwanted intervention. The showcasing of pacifism and old-age positivity in the film is beautiful and inspiring.